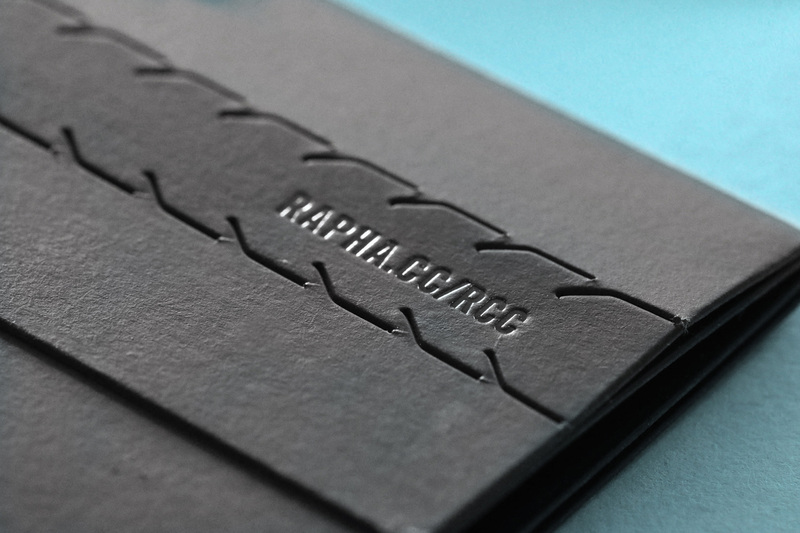 Rapha needs no introduction from us. At the forefront of the sport, the world’s finest cycling club, there’s always a high demand on quality when it comes to anything they put out there, including their annual membership packs. 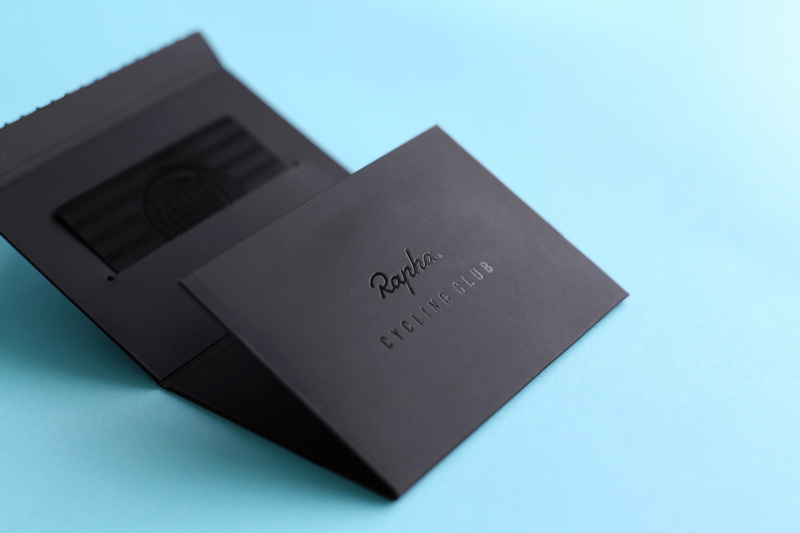 This twelve-month pass gives the cycling enthusiast exclusive benefits from being a part of the Rapha community, to tips on the sport, as well as introducing and welcoming them to the culture of the club. 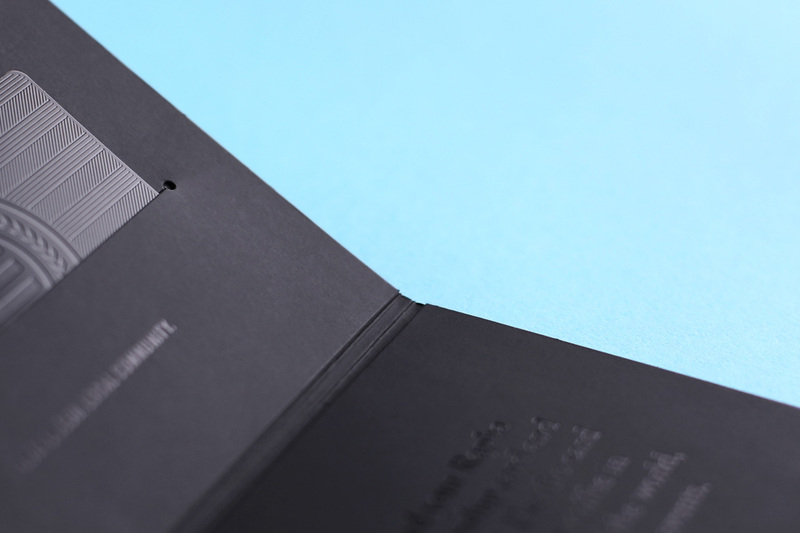 For their latest pack, Progress produced a card wallet made from black rubberised paper. The focus on this product was to create an experience when the recipient received and unveiled it. From the self-adhesive strip that held down the crocodile tear, to the integral design of the folds and the internal slots to allow for the holding of the card and roundel, every aspect was taken into consideration. 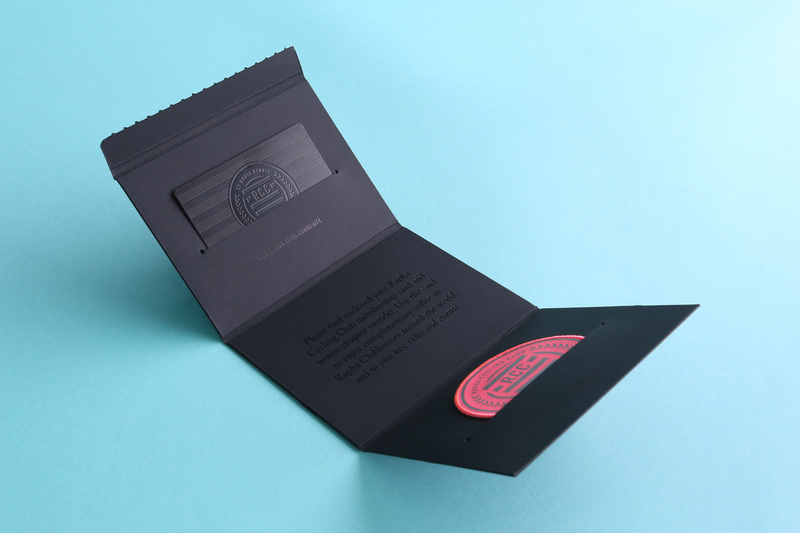 To brand the card, we used a gloss foil block to both the inner and outer of the wallet. A total of 15,000 units were supplied flat for assembly.